It’s March 2018, and Quinn MacDonald, a recent University of Victoria graduate, admires the printed copies of Concrete Garden Magazine that have just been shipped to her. She has only a brief moment to revel in her creation before she must get to work. All by herself, MacDonald begins hauling 7 000 copies of the magazine all the way up to her apartment in downtown Victoria, B.C. She’s the owner/editor of the magazine, and dragging boxes and boxes of her work is a labour of love she has to endure to get her magazines distributed on time. She’s one of many student entrepreneurs building their own businesses. MacDonald’s project started in 2012 as part of the University of Victoria’s Writing 216 class, a class focused on magazine publishing. Conceived by a team of five, including other UVic writing students Jory MacKay, Mike Edel, Luke Stime, and Kim Profili, the magazine focuses on sustainable urban agriculture. Due to its subject matter, the University of Victoria Sustainability Project funded a prototype of the magazine that year. MacKay and Edel took the project to the next level that summer. The duo printed 13 copies to spread the magazine to a larger audience, and the project continued to flourish from there. 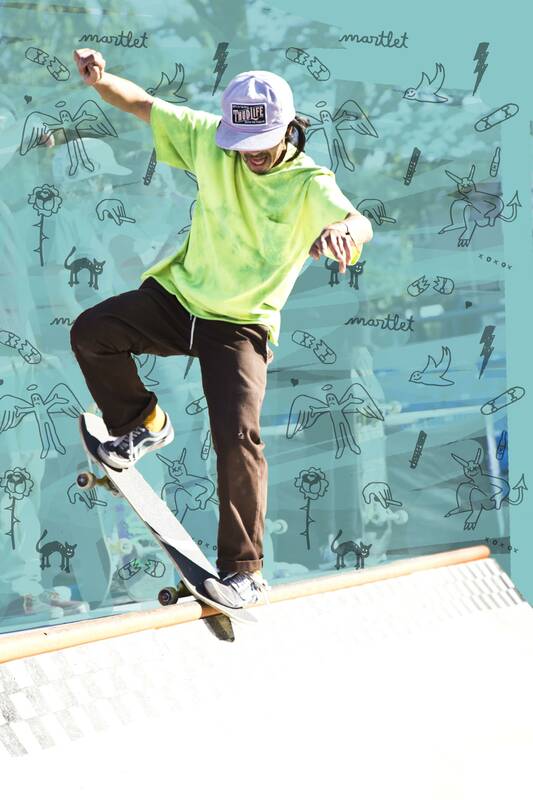 Under the supervision of Kimberley Veness, the second issue of Concrete Garden was released in the fall of 2013. MacDonald worked with Veness as a senior editor while writing her thesis and finishing school (“Somehow,” she laughs). In 2014, MacDonald fully took over the magazine as its owner and editor. The support of UVic’s writing department under the supervision of Writing Chair David Leach had been incredibly valuable for the project, but MacDonald wanted independence for her venture. “Academics kind of run on their own timeline,” she notes. MacDonald had advertising deadlines to meet, distribution cutoffs, and edits to make, and she wanted to do it on her own without waiting for help. “The biggest help getting it outside of UVic was actually the Innovation Centre,” she says — UVic’s Coast Capital Savings Innovation Centre. Formerly the Innovation Centre for Entrepreneurs, the Coast Capital Savings Innovation Centre was re-launched two years ago out of the Research Partnerships and Knowledge Mobilization unit at UVic, with the mandate to provide support and mentorship to budding entrepreneurs. Tyler West and Jerome Etwaroo are the two full-time staff members, supported by five Executives in Residence (EiRs) and 80 external mentors. 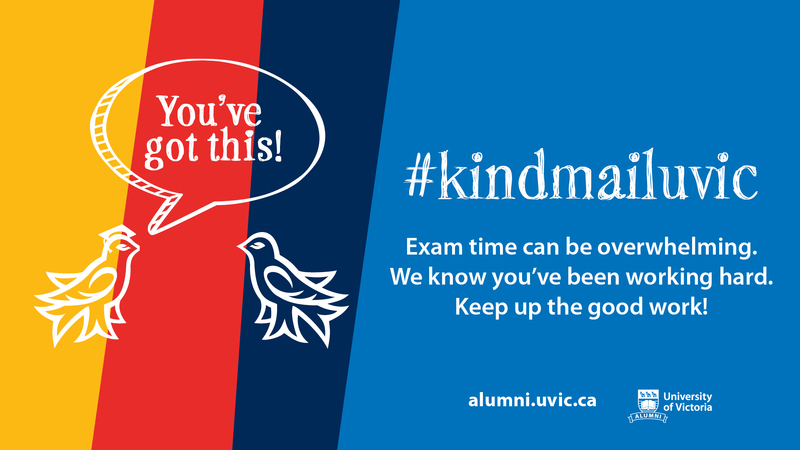 It’s a hidden gem of a resource that has helped not only Quinn but countless other UVic entrepreneurs. Students, faculty, staff, and alumni can all work with the centre, located in the A-Wing of the Sedgewick Building on campus. About 300 students use their resources each year. Their venture can be at any stage. Some come in with just an idea, while some have already launched their companies. “We can talk about any challenges they might be facing, and try to find a way to work through those,” says West, the Program, Operations, and Communications Coordinator at the Centre. “Before we did [Concrete Garden’s] relaunch, they helped me make a business plan because I had no idea how to do that,” says MacDonald. They also helped with ad sales and other training that she hadn’t learned in her journalism classes. 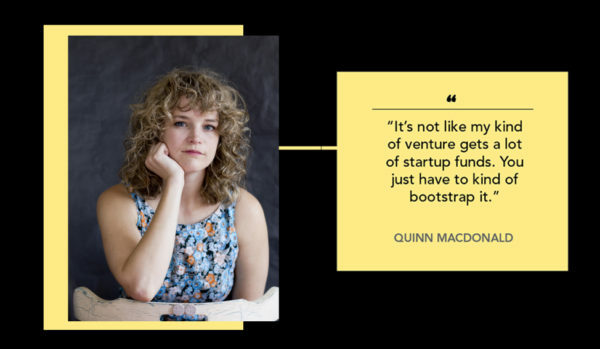 “It’s not like my kind of venture gets a lot of startup funds,” she explains. “You just have to kind of bootstrap it.” Without the centre’s help, MacDonald believes the magazine would have remained a small UVic-only project. MacDonald also entered the regularly-held competitions at the Centre. They host two different competitions, once per semester. The PitchIt competition asks contestants to pitch 90-second business ideas to a panel of judges, either as individuals or in teams. Winners go on to compete in the PlanIt competition, where they need to have a viable business plan for their venture. MacDonald entered the latter three times before finally winning and receiving funding for her venture. “UVic has been in the business of helping start-up companies for over 25 years and we have seen a lot of successful companies,” says Etwaroo, who explains that the project initially started in 2012 as the Innovation Centre for Entrepreneurs within UVic’s Gustavson School of Business before recently pivoting and opening up to the rest of campus. The Centre in its current form has been open for approximately 20 months and has given out close to $100 000 to about 50 ventures, Etwaroo tells me. Since their re-launch in May of 2016 (which introduced the partnership with Coast Capital), the Centre has worked with 121 different ventures. In addition to one-on-one help, the Centre puts on educational workshops to provide training—something MacDonald would recommend entrepreneurs take advantage of. She recommends students learn the business side of their craft in addition to the skills required of the enterprise. MacDonald recognizes the geographical limitations of her work, and prides herself on the local focus of her magazine. But there are students whose business ventures are expanding on the global scale. Devesh Bharadwaj is a recent University of Victoria Mechanical Engineering graduate. What once started as a project in his garage has now grown into a company with a presence in both Canada and India. Bharadwaj is the founder and CEO of Pani Energy. “Pani means water in Hindi,” he says. That’s what his company focuses on, developing technologies that provide clean water and energy. Part of this involves using brine and fresh water to create electricity, and the company recently stepped into the desalination game to provide clean water to those in need. Bharadwaj also worked with the Coast Capital Savings Innovation Centre to get his project out and in to the business world. “I remember the first time you presented to us,” says West fondly. “It was more than a year ago,” adds Bharadwaj, with the same tone. Bharadwaj heard about the Centre from the founder of another startup company. He pitched his venture to Jerome Etwaroo, whom he knew from a co-op, and Tyler West at the Centre. The two put him in touch with their Entrepreneurs in Residence and network of engineers. The staff at the Centre helped the company incorporate — they connected him with lawyers and helped him financially through this process. Bharadwaj had already been approached by investors and wanted advice — the Centre helped him. It’s easy to see the mutual respect and admiration between the two. In our interview, Etwaroo boasted about Pani Energy before running down the Sedgewick Building hallway to find Bharadwaj. He even moved out of his own office to provide space for Bharadwaj to work. 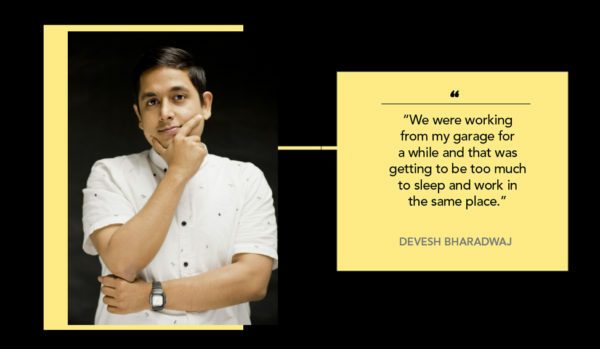 “We were working from my garage for a while and that was getting to be too much to sleep and work in the same place,” he says. Bharadwaj’s team is composed mostly of recent UVic graduates. Their next step is starting up an office in India, where Bharadwaj recently visited to meet with clients, began implementing Pani Energy’s technology in desalination plants, and began working with Fortune 500 companies there. A team will be hired there to work and Bharadwaj will travel back and forth. Bharadwaj has become highly respected in his field. He travelled to Paris to speak at the Global Water Summit, and Pani was named one of the five “Hottest Emerging Tech Companies” participating in the Water Technology Idol event, as labelled by summit organizers Global Water Intelligence. Bharadwaj’s success is evident, and his global expansion is something most startups would envy. But while Pani Energy is off to an explosive start, some UVic entrepreneurs are still in the early stages of their ventures. 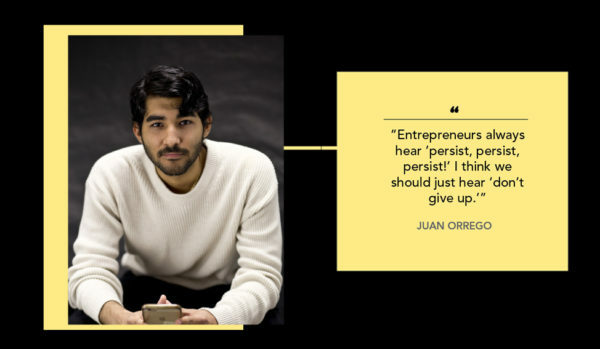 One such entrepreneur is fourth-year business student Juan Orrego. Orrego spent hours preparing for his pitch in the Innovation Centre’s PlanIt competition. His software, Cuboh, helps restaurant managers get more out of delivery apps like SkipTheDishes or UberEats, allowing them to use more than one at a time and integrate them better with in-restaurant payment systems. “I only had $600 left in the bank, and I had to make rent the next month. I did not know what I was going to do,” Orrego says. When I spoke to him, Orrego was still in the beginning phase of his start-up — it hadn’t launched yet — but he had hired a developer to help him with the software side of the business. Cuboh is his one and only job. At the time of his pitch, he was investing everything in to his product. “I only had $600 left in the bank, and I had to make rent the next month. I did not know what I was going to do,” he says. Orrego won $2 000 in November 2017 from the Coast Capital Saving Innovation Centre PlanIt competition. He had become a true entrepreneur, relying on his start-up to succeed for his own success. “It felt very liberating,” he says of winning the funding, which he invested in sales and marketing for two months. Orrego says the experience of the PlanIt competition helped him think more strategically about his venture. What’s next for all these student entrepreneurs? MacDonald has just upgraded her magazine to publish quarterly, a long-time goal. She dreams of satellite versions of Concrete Garden being published in other cities — each with their own signature local focus. Bharadwaj is preparing to start up his office in India and hire a team there to continue bringing clean water and energy to their clients. Orrego is busy preparing for his project launch. He will need to raise more funding, and hire more engineers and business developers to help with sales, but he’s excited for the challenge. Orrego mentions Facebook and Slack, both companies that switched focuses and succeeded because of it, the former expanding from a university student directory to a global forum. The latter was started solely for creators of a video game to communicate effectively. But then they re-branded, marketed the software as a messaging tool for any business, group, or team, and became a company worth $3 billion.